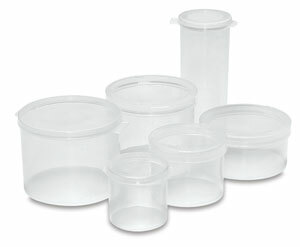 Keep a lid on crafts, small parts, and paints with our tough plastic containers. These one-piece containers are made of food grade clarified polypropylene. Featherlight, yet virtually unbreakable. ® La-Cons is a registered trademark.